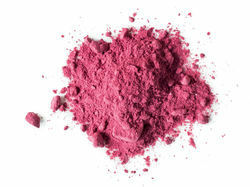 Manufacturer of a wide range of products which include dehydrated beetroot powder, dehydrated mint powder, dehydrated ginger powder, dehydrated carrot powder, dehydrated potato powder and dehydrated amla powder. Dehydrated Beet powder provides a wide range of nutrients, but its most significant phytochemical is betaine. Betaine helps the liver process fat. Mint is a versatile and warming herb with a herb with a refreshing, sweet flavor. Mint powder is prepared from dried mint leaves. 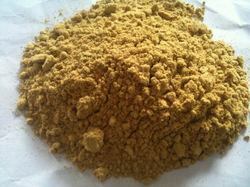 Dehydrated Ginger Powder that is the main ingredient in the formulation of various medicines. These are also available at affordable prices. 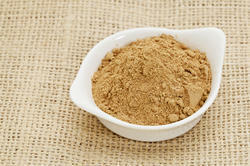 These Dehydrated Ginger Powders enhance the taste. Dehydrated Carrot Powder has many medicinal properties such as to cleanse the intestines and to be diuretic, remineralizing, antidiarrheal, an overall tonic and antianemic. Carrot is rich in alkaline elements which purify and revitalize the blood. Our Dehydrated Carrot Powder is as natural and pure as they are not contaminated from any kind of toxic chemical, preservatives or additives. 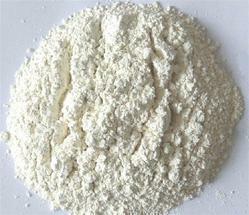 Our company is one of the eminent names to proffer Dehydrated Potato Powder. Added in pizzas, samosas, salads and soups of multiple cuisines. Amla, or Indian gooseberry, is the fruit of a small to medium-sized deciduous tree native to India. The berries are greenish yellow with a fibrous inner texture. Harvested in autumn by hand, they have a sour, bitter, and astringent taste. In Hinduism, the amla tree is considered sacred to the goddess Lakshmi. A much-beloved staple of traditional Ayurvedic medicine, amla is considered a cooling pitta herb. 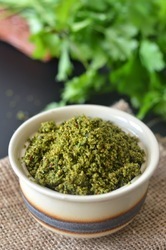 This Dehydrated Coriander Leaf Powder is prepared from dried fresh coriander leaves. Fresh coriander is procured from our trusted vendors. Rich in vitamins and calcium, these Dehydrated Coriander Leaves have various medicinal benefits and considered as an essential part of curry powder. 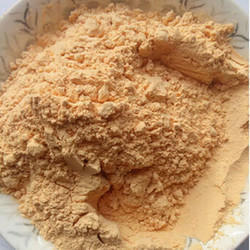 We offer the finest quality of Dehydrated Garlic Powder to the global clients. Step by step instructions on how to dehydrate garlic and then make garlic powder. Includes tips for peeling garlic and storing dehydrated garlic. 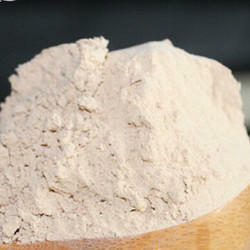 We are one of the well-established exporters of Dehydrated Spinach Powder. The products are well-appreciated for their quality. 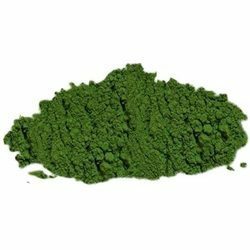 Spinach Powder (Spinacia Oleracea) is created by grinding dried spinach leaves. 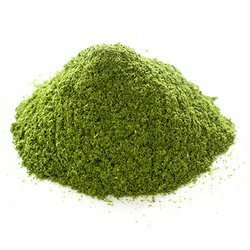 It is a fine, dull green powder and has a mild spinach flavor. Looking for “Dehydrated Vegetable Powder”?